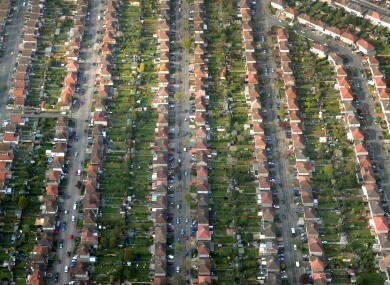 Progress in solving mortgage arrears is slow, with industry experts criticising the solutions deployed. IRISH BANKS HAVE struck just 742 permanent deals with home owners in long term arrears in five months. Data released this morning from the Department of Finance shows that there were 14,727 loans in long-term arrears with a permanent restructuring deal in place at the end of May, compared to 13,985 at the end of 2013. This implies a rate of just over 148 permanent solutions agreed per month, or just under 1,781 per year. At the current rate, it would take over 33 years to tackle the remaining mass of mortgages either in temporary restructuring, or without any repayment plan in place at all. There are a total of 58,992 mortgages in these categories, with the vast majority (53,252) having no deal of any form in place. The most popular solution deployed for homeowners in difficulty is an ‘arrears capitalisation’, when some of the arrears are added to the total amount owed to be repaid over the entire term of the mortgage. Over 20,000 of the permanent deals are included in this category. However, the most recent statistics from the central bank shows that arrears recapitalisations are one of the least-effective ways of dealing with problem mortgages. Only 63.8% of loans restructured in this way were classed as meeting the terms of the arrangement at the end of March this year. Arrears capitalisation was criticised by members of the Oireachtas finance committee earlier this week as a method of dealing with problem loans. Speaking to TheJournal.ie, Karl Deeter of Irish Mortgage Brokers said that the solution did little for the problem of mortgages in arrears. It says that we are willing, as always, to massage statistics to make ourselves look better. It doesn’t mean that the person who needs it is any better off. Meanwhile, the split mortgage is growing in popularity, with more than double the amount deployed in the market at the end of last year now in place as permanent solutions. The picture for buy-to-let loans is not much better, with only 341 fewer accounts in arrears than at the start of the year. Out of a total of 26,647 accounts in arrears, a total of 20,383 are not restructured, with 1,851 in temporary restructuring and 4,413 permanently restructured. Email “Long-term arrears would take 33 years to clear at current rate”. Feedback on “Long-term arrears would take 33 years to clear at current rate”.